Your Apple TV experience may soon improve, with ways to keep your movie queues separate, and a quick and easy setup. Elsewhere, a London Apple Store isn’t falling down, falling down—it’s getting renovated! 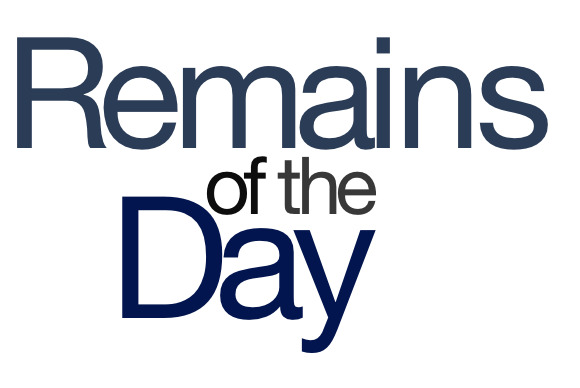 The remainders for Tuesday, July 30, 2013 are taped live in front of a studio audience. Word has it that you will soon be able to separate the chocolate of your significant other’s Netflix queue from the peanut butter of your to-watch list. The video-streaming service has rolled out profile support, and says that it’s coming to all platforms, with some users reporting that they’ve seen it show up on their Apple TV. Unfortunately, this does come with its downsides: You’ll no longer be able to shunt blame to your kids when your friends ask you about that entry for My Little Pony: Friendship is Magic. Speaking of Apple TV features possibly coming down the pike, you may soon be able to set up your set-top box by simply tapping your iOS 7-running device against it. If you need me, I will be tapping my iOS 7 iPhone against my car and sighing wistfully. London’s Covent Garden Apple Store is getting a makeover, losing its point-of-sale counters, removing some display tables, and replacing too-hot light fixtures in the glass spiral staircase. Which obviously never would have happened if Steve Jobs were still alive. Apple CEO Tim Cook is back in China, where he’s reportedly meeting with Chinese carriers. Of course, rumor has it that this is all related to the mythical low-cost iPhone, though his trip might also be affected by recent reports of labor abuse at Apple suppliers.